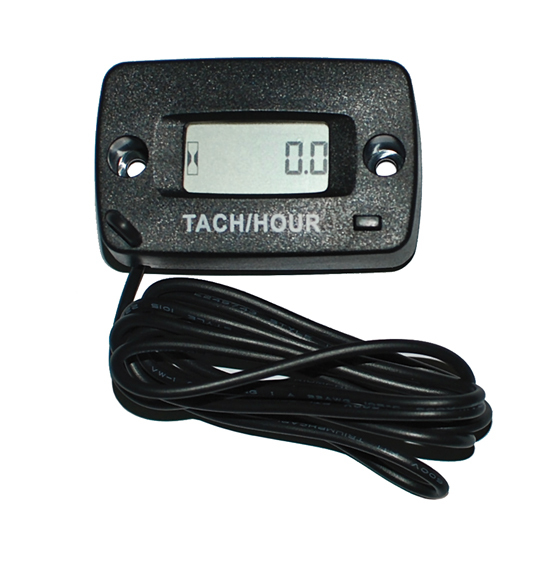 LCD tachometer and hour meter. Tachometer displays as engine runs, Hour meter displays with engine off. Light and compact with excellent waterproof and anti-vibration properties. Comes with built-in battery. Engine running time shown on hour meter is non-erasable. Working temp range: -20 to 70C. Size: 54h x 33w x 9h mm.